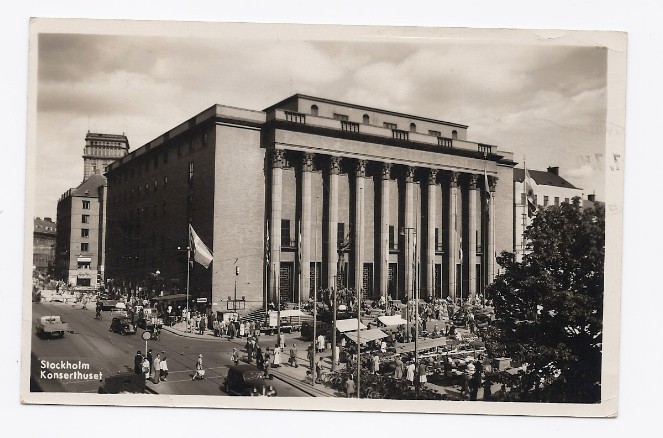 i000000 1952 - The Concert Hall, Stockholm, Sweeden - Real Photo - Used 1952 - The Concert Hall, Stockholm, Sweeden - Real Photo - Used Excellent to Near Mint Condition Black White – Real Photo Card sent to Mrs. N. Bradford in Roxbury, MA Thank you for your interest Click Images to Enlarge Shipping and handling (S H) - United States, please add 45 cents for S H costs. NOTE: Buy 2 or more at the same time and S H is FREE. - Internationally, please add 2.00 for S H costs. NOTE: Buy 3 or more at the same time and S H is FREE.